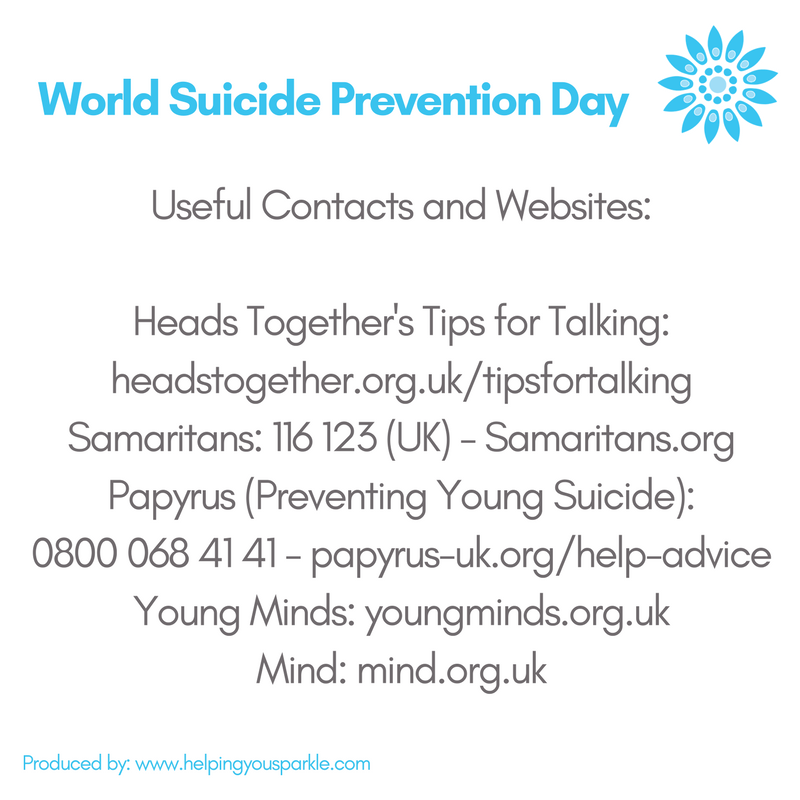 10 September is World Suicide Prevention Day. This year’s theme is “Take a minute. Change a life”; it’s about creating a safe space for people to talk about their mental health. This Sunday, take a minute to check in with a loved one or family member, a friend or a colleague to ask them how they are. Offering a gentle word of encouragement, or just making a cuppa and taking time to listen, can make all the difference. We will be sharing posts and articles on this important topic via the Helping You Sparkle™ Facebook page all day on Sunday.